We had a wonderful chat yesterday with Dave White at CBC Yukon, and today’s the day we start to share our plans online! We’ve been quietly working away in our little log cabin office all year, and even though it’s still a bit chilly, the sun is back and we’re feeling the buzz! 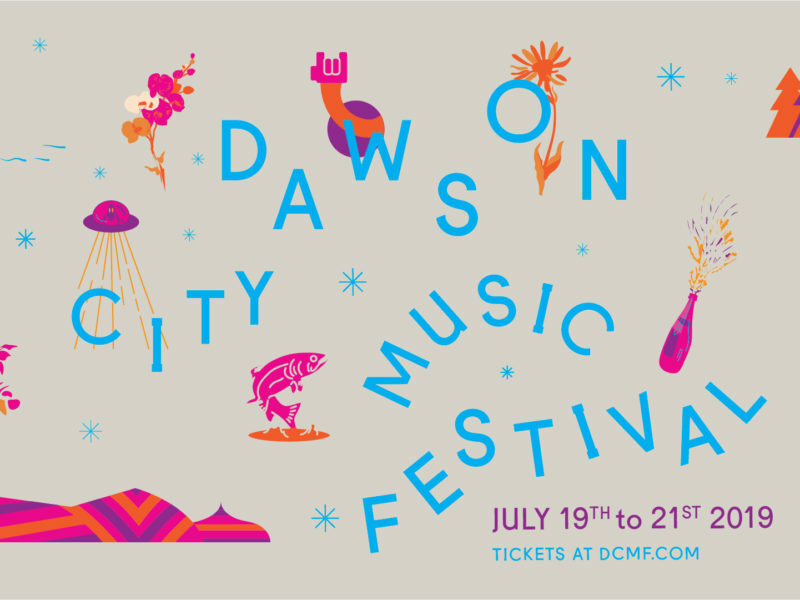 We’ve got an exciting mix of alumni and newcomers on the bill, including Elliott Brood, Old Man Luedecke, Les Deuxluxes, Snowblink, Skye Wallace, Blue Moon Marquee, Dena Zagi, Wares, Mayhemingways and Driftwood Holly – with more to come in the next couple of weeks. Along with additional artists, you can expect announcements on special 40th-anniversary events and activities. We can’t wait!! There’s so much fantastic music coming our way, and you can scope it all out here. 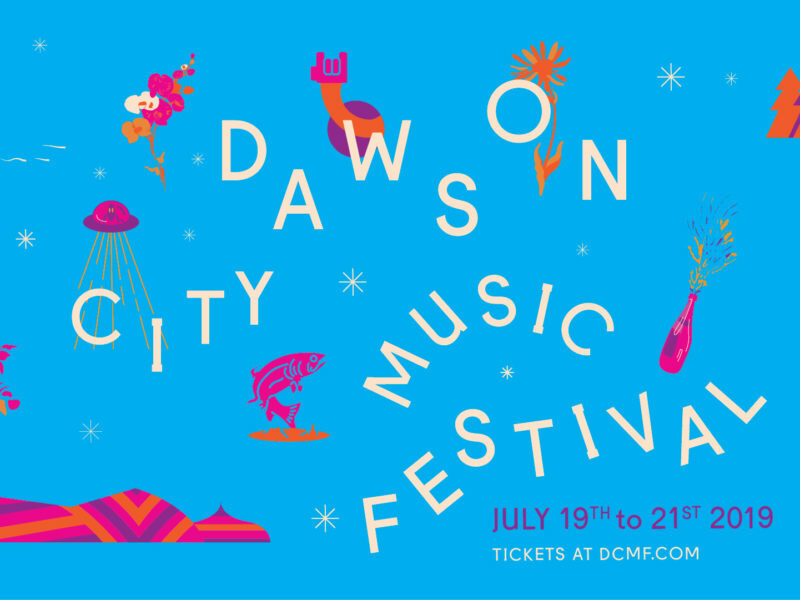 Gather your friends, grab your Festival pass, and come on home to the 40th-annual Dawson City Music Festival, taking place July 20th – 22nd, 2018! Many thanks to our funders Government of Canada, Government of Yukon, City of Dawson, Klondike Visitors Association, SOCAN Foundation; to our sponsors Grenon Enterprises, Air North, Goldcorp, Baked Cafe, and Midnight Sun Coffee Roasters; and to our Proud Partners Parks Canada Yukon (Klondike National Historic Sites), Dänojà Zho Cultural Centre and Klondike Institute of Art and Culture. We also wish to thank Tr’ondëk Hwëch’in First Nation, whose Traditional Territory we gratefully live, work, and organize within, and the amazing team of volunteers who help make the magic happen!